"When I grow up I want to be an astronaut... an archaeologist... a robotics engineer" says the young girl playing with her Lottie Doll. 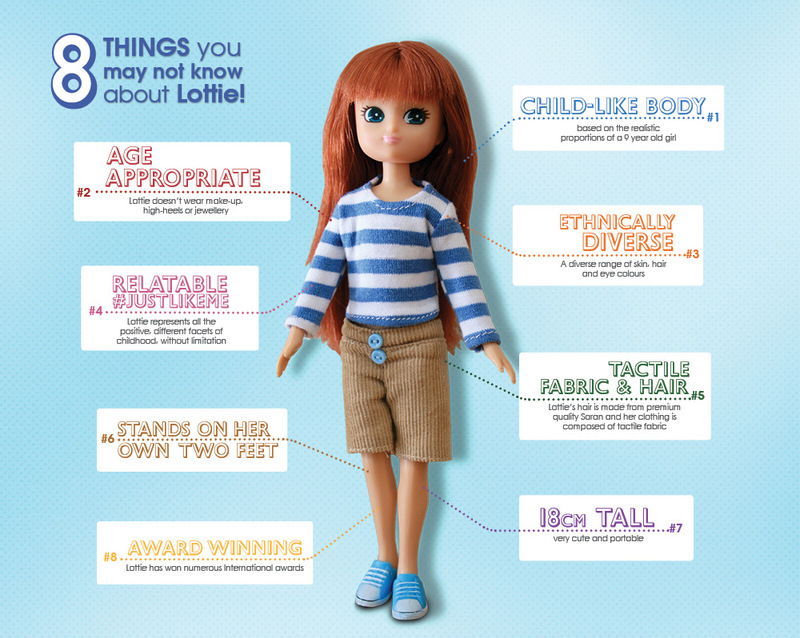 Lottie is a adventurous character based on a real 9 year old girl's body shape. We've featured Lottie on Tech Age Kids before and decided to take a closer look. As a mum of only boys, I don't explore a lot of toys specifically targeted at girls. 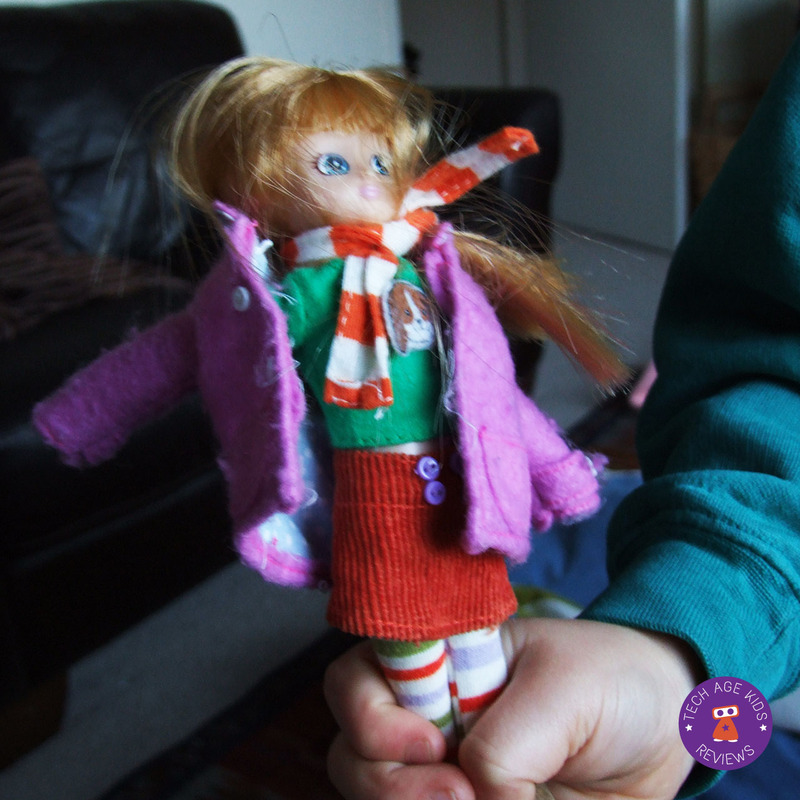 A friend mentioned her daughter had an "Autumn Leaves" Lottie Doll, so we've had a chance to play with Lottie at home. I've always encouraged my boys to play with toys, typically labelled as girl-toys, and so we've owned play kitchens, baby strollers and baby dolls in our toy collection. I grew up with two younger brothers, and at the time loved playing with my Barbie Dolls. My play was usually very grown up, pretending Barbie was a mother or designed clothes, she was always married and spent a lot of time making herself look pretty. Now as a mother, I would much rather my kids play with toys that let them be kids and are relevant to their life stage. The Lottie Doll was launched in August 2012 as a wholesome alternative to dolls on the market. So what makes Lottie different and why do we like her at Tech Age Kids? The creators of Lottie Doll have a vision to inspire kids to be themselves and embrace individuality and dream up adventures of any kind. The Lottie Doll is smaller than I expected, almost as if she is a child version of Barbie. Perhaps if you had a Barbie Doll, your child could role play a mother-daughter story. Lottie's hair is fantastic, and seems less likely to tangle. Her face is bright and her body shaped like a child's. Arklu, the designers of Lottie, said they based the doll on a real 9 year old, allowing kids to be kids. She has no make-up, jewellry or high-heeled shoes. There are also a variety of skin tones and hair colour Lottie available. I (by accident) left Lottie unclothed on our kitchen table, before fetching my boys from school. When we got home, they exclaimed "Why is there a doll in our house". I ignored the comment and asked them if they would like to try and dress her. They got engrosed and later, came to show me how "beautiful" she was. I'll let you decide whether my boys will pass as the next fashionistas. My 7 year old's comment was priceless... "I quite like dolls now, they are fun to play with." Arklu develops new outfits and themes for Lottie, through crowdsourcing, a key value of the company. 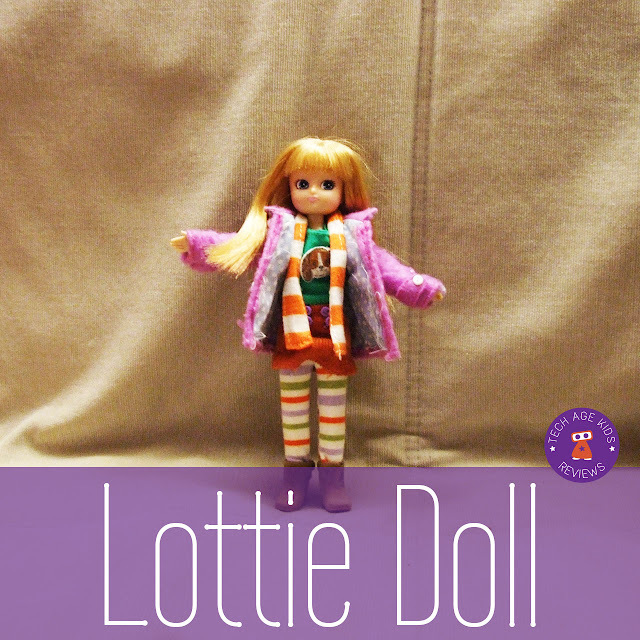 Each month they have a competition for members of the Lottie Club to design their own theme doll with an outfit and accessories. Several dolls have been imagined and designed by real girls. Stargazer Lottie, for example, was designed by a 6 year old, Abigail from Canada. Read about other Lotties created by children. Arklu are working on introducing STEAM subjects (Science, Technology, Engineering, Art and Maths) in a fun and engaging way. We love the different STEM-based themed dolls, including "Butterfly Lottie", "Fossil Hunter Lottie", "Stargazer Lottie" and "Robot Girl Lottie" with her trusty "Buzy Lizzie the Robot"
There are fun activities, games and science experiments available on the Lottie website encouraging children to explore STEM subjects. Arklu have also put together a fantastic resource of great women biographies to share with your kids. Last week we wrote about two Raspberry Pis, being sent to the International Space Station, uploaded with code made by kids via the AstroPi competition. So we are really happy Arklu is also excited about space and currently have a competition running to inspire young girls to develop an interest in Astronomy. The closing date is 20 December and all you need to do is post a video message of what you think would be Lottie's first words in space. More details can be found here. I really like the Lottie Doll, and now Arklu have also designed a boy version called Finn. I would imagine they would make a great doll set for families with boys and girls. Their strong core values nurtures positive body image, promote STEM subjects and allows kids to dream they can be anything. We like that. Great review! I love them, too!